During the 2000’s, Kessler worked as a senior staffer for Colorado Democrat Senators, Ken Salazar and then Michael Bennet. In 2011, he strode headlong into the world of hard-core environmentalist lobbying, and took a job directing Thompson Divide Coalition. It appears Kessler crossed ethical, if not statutory boundaries, with the move. With a history of radical environmentalism, extreme partisanship, and targeting an entire industry for destruction, Zane Kessler, the Colorado River Water Conservancy District’s new hire for Communications Director, should raise some eyebrows, and he has. Though Kessler has a background in environmental science, far from being an expert in hydrology, water law or the heavy-duty matters facing Colorado’s water future, his actual experience is in lobbying and left-wing politics. But Kessler is best known for his work with the Thompson Divide Coalition (TDC), a radical anti-oil and gas non-profit with roots in Aspen and Carbondale. Comstock recommended the Commissioners send a letter to the Colorado River Water Conservancy District expressing concerns with the recent hire of Zane Kessler as the new District’s Communications Director. Kessler has a reputation of environmentalism and anti-oil and gas stances. At the Dec. 6 meeting, McInnis and a posse of other county commissioners from Mesa, Moffatt, Rio Blanco and Hinsdale counties, called Kessler’s allegiances into question. Their concerns track to a comment Kessler made in a Sept. 6 Glenwood Springs Post Independent article about his departure from the TDC that he may continue to volunteer for the organization, if the opportunity arose. McInnis said Mesa County had “deep differences” with Kessler and the TDC. He said he’s worried that the coalition might next turn its attention to the Colorado River, and said he was upset no one had called Mesa County to ask about Kessler. Although a defensive editorial, which appeared later in the Post Independent, pooh-poohed the concerns of Scott McInnis and others about Kessler and his radical ties, his history deserves serious scrutiny. Kessler waited a year from the time he left Bennet’s office until he took his new job as head of the environmentalist group. The delay followed Senate ethical guidelines, which prohibit former senior-level staffers from lobbying their former boss and coworkers for one year. Yet government watchdogs raise their eyebrows when former congressional aides like Kessler pocket the equivalent of a three-cushion shot: they quit their jobs with a U.S. senator or representative, take a job as the head of an interest group or a corporate lobbying group, and successfully lobby their former boss to sponsor or vote for a piece of legislation that benefits their new employer’s agenda. The Bureau of Land Management issued a draft plan Thursday that would cancel 18 oil and gas leases in the Thompson Divide, which spans 15 different watersheds in western Colorado. Roughly one year later, in November of 2016, Obama’s Interior Secretary, Sally Jewell, announced the cancellation of 25 existing oil and gas leases. 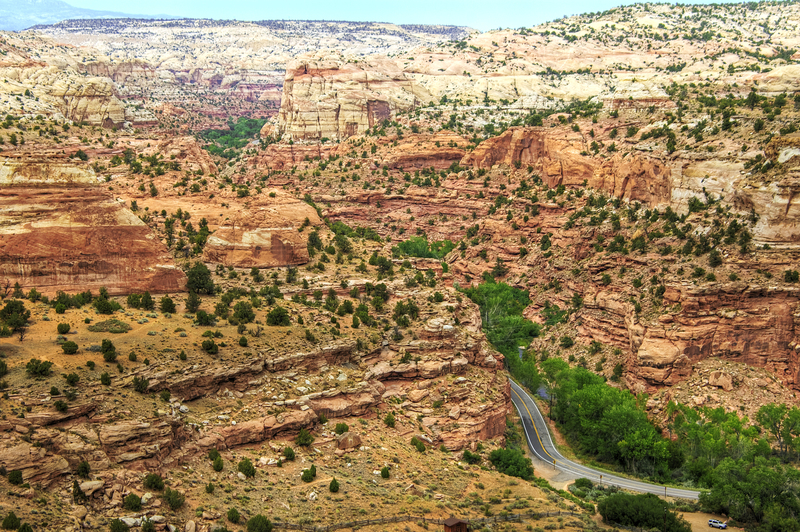 Local governments across western Colorado decried the move as ‘an assault on property rights.’ Although the TDC celebrated, it’s important to note that the leases cancelled were privately held, and had passed appropriate environmental assessment processes prior to their cancellation. Despite Kessler’s policy successes, his group became infamous for the radical tactics it used while opposing oil and gas development. And, when it comes to political races, Kessler has not abstained. In 2014 TDC aligned itself with Democrat Senate incumbent, Mark Udall, in an attempt to defeat Republican challenger, Cory Gardner. And in 2016 they fought to defeat western Colorado’s Republican Congressman, Scott Tipton. Kessler’s new role has been so troubling to local governments in western Colorado, and the outcry so great, that the Daily Sentinel recently reported the River District has agreed to review its hiring policies. Nevertheless, Kessler will stay on, steering the direction of the agency’s public voice. One could take from the District’s hiring and retention of Kessler that issue is not in the personnel department, but in the vision and priorities of leadership. Conflicts of interest, where his environmental activism bleeds over into the arena of public policy-making, don’t appear to faze Kessler. He’s been successful, thus far, in enacting his agenda when given the opportunity. Nevertheless, his new role as Communications Director for the Colorado River District has become a point of contention that is not going away. Whether or not he will ‘continue to volunteer for the organization (TDC), if the opportunity’ arises has yet to be seen. But the taxpayers of western Colorado, the agricultural and energy interests with serious stakes in western Colorado’s water, should not turn a blind eye to what could be an environmentalist fox in the water policy hen house. Kessler should never be appointed, ever. Drain the swamp with him.